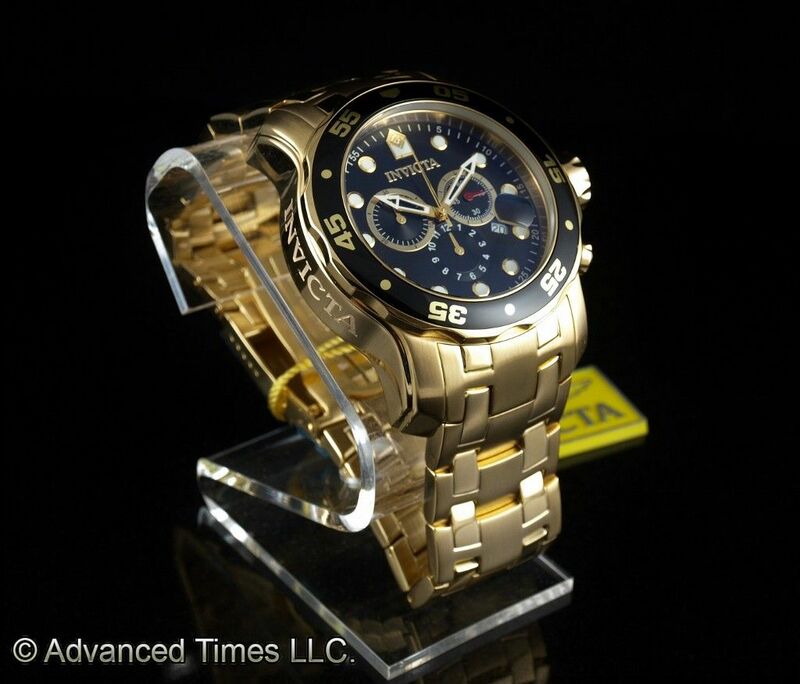 The Invicta Men’s 0072 Pro Diver from Invicta is a watch aiming at a certain niche. Affordable luxury is the area where you get something great, for a price that amazes. Build quality, without compromise, yet not reflected in the market price. A low price for a high-end product is one way of describing this market. Another would be more for less. The fear for the 0072 is that people may look at it and think that will be too expensive. Alternatively others will be scared off by the price simply because it is too low. There must be something wrong with it if it only costs that little. These worries for the 0072 may however end up being its ultimate strength. It may not create a new niche, but the people who end up with one on their wrist may well believe that they themselves have done exactly that. So just how good is the 0072, and who is going to want to buy one. Fashions change but style is timeless and this is a great quote to use in the review of a watch. Personally, I do not find it fashionable, but then what I like, may be disliked by others, I do however consider it practical affordability, with the added bonus of looking more expensive than it actually is, a trick that many others have tried unsuccessfully to pull off. The real watch aficionados will spot it for what it is from a mile away, but quite frankly do you really care when you have a gold plated watch of some distinction that can easily turn an eye and can certainly turn a conversation. There are so many watches on the market, but then one is never enough now is it? We have an affordable watch with the benefit of luxury trim, the gold-plated element adds that little bit of sparkle to the watch and this is complimented by the two tone gold bezel and black face. 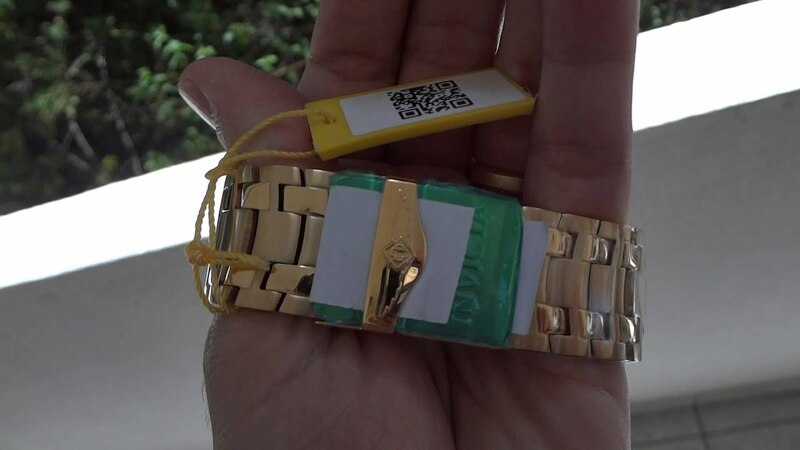 The materials are well made, and the quality of the Swiss made quartz movement will mean that you will be able to rely on accurate time keeping, and let us not forget that this is a watch after all. Should you want to take advantage of the “diver” element of the brand model, then you are good to go 200 meters or deeper, should the urge take you there. A brand that is based on build quality should also mean that you can rely on the movements to tick away safely and soundly. Add to all of this the benefit of presence that the model brings with it should ensure that you do not regret the purchase once it arrives. Watches are an investment in time and time is finite and as such, these investments must be made with full thought and consideration. It gives an aura of expense and yet is well within the affordable price range which makes it an achievable luxury product. Its high quality material places it in a unique place in the market. On review the watch is described as 18k gold-plated the US made round-faced gentleman’s watch with a unidirectional bezel. The hands are luminous aiding night time reading, and there are chronographic sub dials for separate timings. The watch with a Swiss made quartz movement benefits from a 44mm stainless steel bracelet/strap. It is waterproof to 200m or 660ft and was first made in 2011. Its band is a standard size for gentleman’s watches, with a gold band, gold tone bezel and a black watch face, its most stand out feature. The watch has that immediate wow factor. It has a heavy feel and yet is perfectly wearable as an everyday watch. It has presence, makes a statement, and a bold statement at that. It is never understated, and though some have had difficulty with elements such as the waterproofing, none have ever felt undersold. It is a statement of intent, a statement of presence, and a noticeable but manageable timepiece. Your choice of watch is one of personal taste, but with the 0072 Pro Diver it is possible to manage if not exceed expectations. The best tip in buying any watch is to wear it first. It is said that this watch can simply be too big, suitable only for a gorilla! At the same time there is documentary evidence suggesting that replacing the battery may not be the easiest of tasks. That said, people do tend to complain before they complement and the number of compliments for the appearance alone would suggest that the look achieves the aim it set out to do, to be noticed, to make a statement and to be invincible. There is no “no comment”, a lot of love and less loathe. Do not act on impulse nor on a whim, have a look, have a go, listen to the good and the bad reviews and then make your own mind up. You will after all be the one wearing it. So you have one wrist, well two, what are you going to do with it. The solutions are plentiful and there never has to be just one, there can be many. 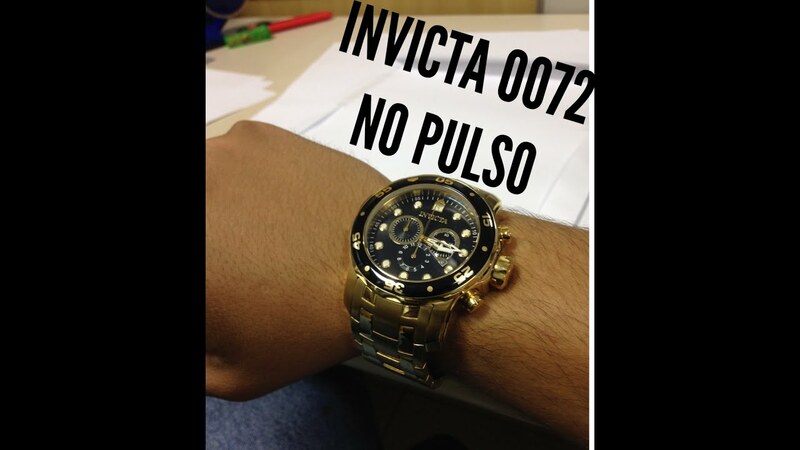 The question is do you want to use your precious time, wearing an Invicta Men’s 0072 Diver Watch? Affordable luxury may lean you towards yes, noticeable presence and brand statement may add to this, as would rave reviews about appearance and impact, but you are best off, trying it, then buying it. If it looks good on your wrist, then there is certainly many arguments which suggest you should add it to your collection. If it is not for you then do not worry, another suitable watch will be along in no time. For me, well, I do not like gold watches per se and find them a little vulgar, but here my view is softened by Invicta and the black face and chronographic movements. I would not buy one, and I wholly believe that I would never wear one, but that is simply a matter of aesthetic choice. I do however, fully understand why others would both buy, wear and gift this Watch and would no doubt be impressed by their choice. 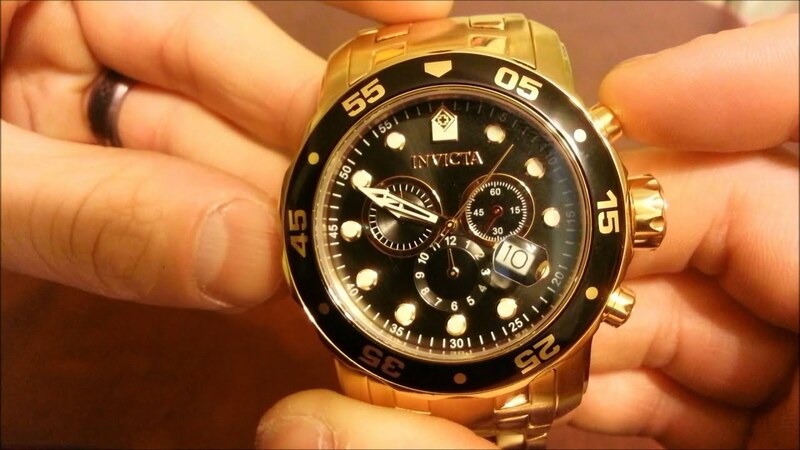 >>> Top 10 Invicta watches reviews here.